Bring out the BE(A)ST in YOU! What's on your adventure bucket list? When I turned 30-- not so long ago, I made a birthday adventure bucket list. These are the things that, let's just say, not a lot of people would dare to do in their lifetime. Basically, these are the kinds of adventure that needed EXTREME courage and faith in yourself. These are the kinds of adventure that will first make your stomach churn, then gives you a kind of adrenaline rush that you will only feel on that very given momentum, and finally, it will give you the most exhilarating feeling after being able do it! Of course, you can do a Macarena or Gangnam style dance, whatever suits your fancy, really-- because you're still in one piece and you're pretty much alive! Why hang gliding? If you're looking for a less scary "air" activity then this is good for you. This is one of the adventures that you need to do with an expert. Meaning, you're entirely giving your life's risk to another person. Haha. 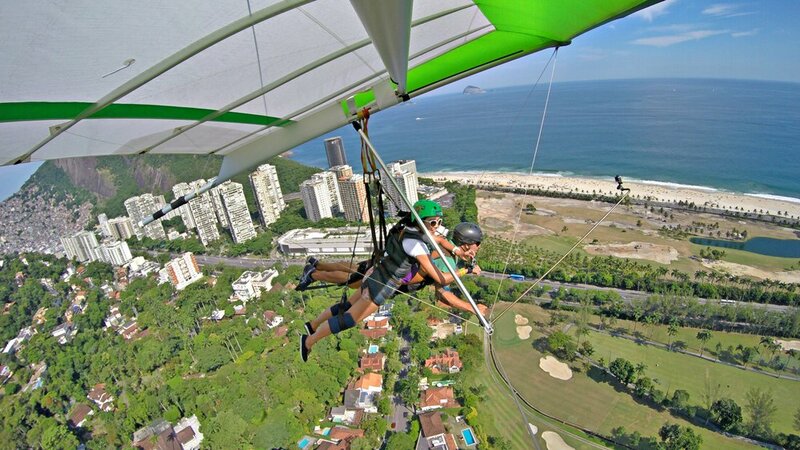 Read more about my hang gliding experience in Rio though. Why bungee jumping? If you've lost your self-esteem, your self-worth, and your self-respect this is the best one for you. Trust me, it's the best way to redeem yourself because even the strongest and most confident men I know are way too scared to do this. If you've done bungee jumping, there is nothing in the world that will make you scared anymore. $h#t! Even another heartbreak can't break your spirit and self-worth when you've done bungee jumping! Why paragliding? If you're looking for an adventure and eventually you want to turn it into a passion, this one is for you. It's not so scary and it is in fact, one of those activities that will get you motivated and fascinated. Just the thought alone that you can literally fly almost anywhere, as long as it's a good cloudy day, then you're off to go. I wouldn't mind doing this on a weekly basis, but then I will have to invest on the training and equipment of this...ahhmm, sport?! Why rock climbing? It's cool! It's naturally hard but very satisfying. It's one of those activities that really develops your critical thinking and will validate whether you're stupid or not. Haha. Why scuba diving? If you love swimming and the beach,you might as well take it to a notch to learn scuba diving! I think there is nothing more beautiful than to come close to all the wonders of the underwater. Why surfing? Simply because it spells F-U-N! And there are a lot of cute boys, too. I mean, A LOT that gets into this adventure. So if you're both looking for fun and cute boys, this is definitely for you!